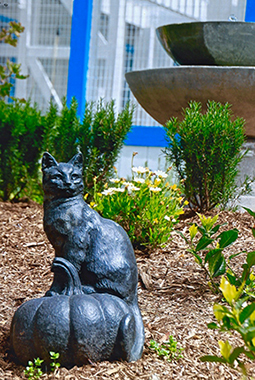 Blue Bell Gardens showcases local flora and fauna, graceful fountains and unique garden art and accents. 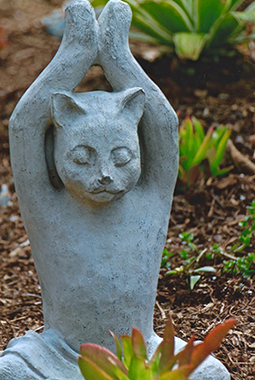 It features the whimsy of Birdhouse Village, colorful art pole and birdbath in the Mourning Dove Garden, original “Cats in the Canyon” themed mosaic bench by Laguna artist Marlo Bartels, and two secluded, peaceful memorial areas--perfect for quiet contemplation. 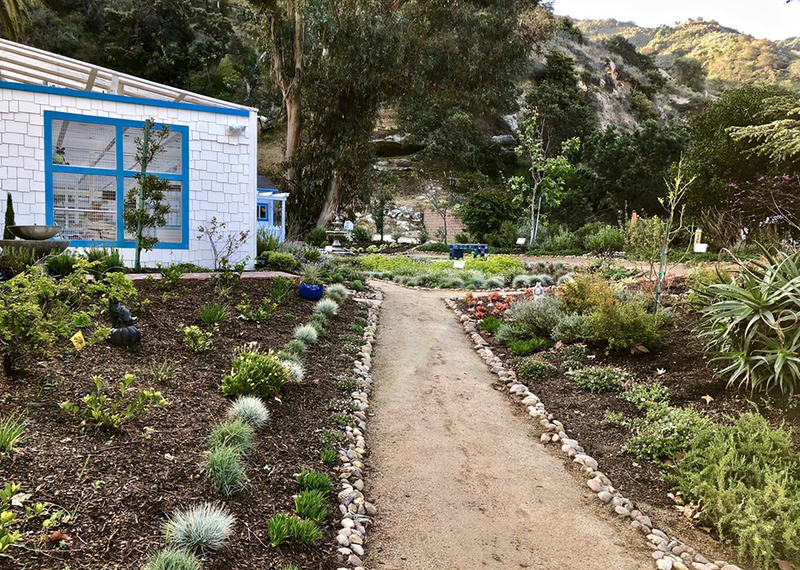 As the gardens reach full maturity, guided tours and horticultural education programs will be offered to the Laguna Beach community. A dedicated sustainability team has been created to ensure the Gardens thrive long into the future. We’d like to extend our sincerest gratitude to the following people and organizations whose generosity made Blue Bell Gardens possible. Our benefactors are listed followed by the garden they sponsored. Dr. Ned Momary (The Orchard), USC Dental School Alumni (Canyon Road), Ann & Charlie Quilter (Birdhouse), Barb & Jeff Zakaryan (Blue & White Floral), Visionscape/Laguna Nursery (Blue Native), Chris Lutz (Bromeliad), Massen Greene Foundation (Canyon View), Erika Faust (Mourning Dove), Laguna Beach Garden Club (Monarch Butterfly), Jon Madison (Blue Flower), Josh Brown (Meow Meadow), Susan & John Hamil (Founders), City of Laguna Beach (Garden View), Jan Hobbs (Cat Nip Memorial) and Nyki and Ryan Franz (Dawn’s Garden). 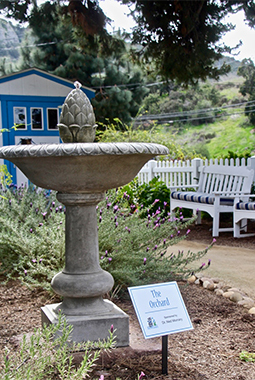 We’d also like to extend a special thank you to Susan and Don Lane for sponsoring our Welcome Fountain, Ruben Flores for creating the landscape design, the City of Laguna Beach, whose grant helped underwrite new water-wise irrigation components, and the Laguna Beach Garden Club’s Jorja Puma, whose counsel was instrumental in the successful launch of this project. To learn more about donation, sponsorship or volunteer opportunities, please contact Susan Hamil (949) 494-1586, bluebellkitties@yahoo.com.